It’s no shock that 23AndMe’s meteoric rise has inspired competitors to enter the biotech industry, but one service in particular might be poised to give the genealogy giant a true run for their money: This new company lets you send them your saliva, and they will tell you if they like it. Look out, 23AndMe! Only time will tell if the market is big enough for these two innovative companies. 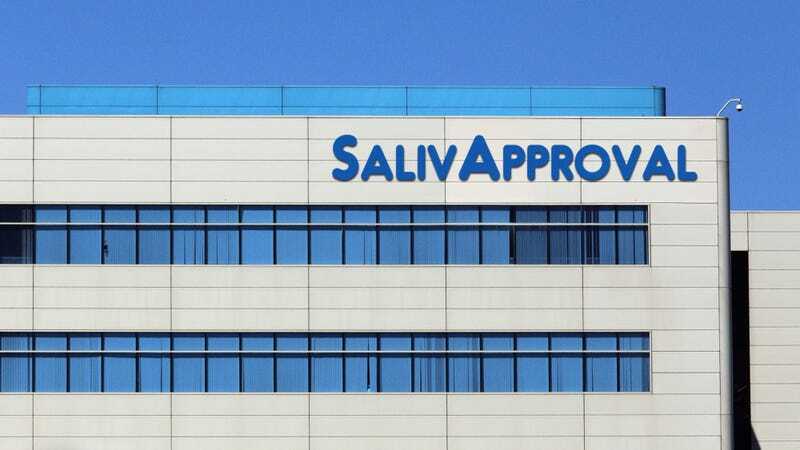 The company, which is called SalivApproval, has developed an ingenious method for providing users with feedback on their biomatter. Here’s how it works: Users mail SalivApproval a tupperware container, sandwich baggie, or a plastic soda bottle filled with their saliva along with the $250 enrollment fee. The spit sample then spends 16 weeks inside SalivApproval’s state-of-the-art facilities in Mountain View, CA where it undergoes rigorous personal judgement by the company’s 150-person staff. Once their team reaches a consensus on a user’s saliva, customers receive a large manila envelope containing the results of SalivApproval’s analysis in the form of a letter reading either “We like it” followed by a multi-page explanation of just how much they enjoyed your saliva, or a simpler evaluation like “We don’t like it” or “Not for us.” Then, the only step left in the process is to either accept that SalivApproval is not a fan of your saliva, or to send in more saliva at the company’s request because they like it so much. Whoa. Has 23AndMe totally blown it by failing to let customers know whether they like their spit? Without a doubt, SalivApproval just upped the ante in the biotechnology industry. We’ve got to imagine its competitors are scrambling to avoid falling behind, so don’t be surprised if 23AndMe rolls out a similar service once this takes off. All we know for sure is that we cannot wait to try this out.